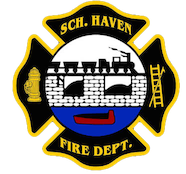 The Schuylkill Haven Fire Department and all of its members are deeply saddened by the passing of Summit Station Fire Chief Will Heffner. Will served the borough of Schuylkill Haven for many years before becoming the Chief of Summit Station Fire Company. Our thoughts and prayers are with Will and his family during this difficult time. Please keep him, his family, and friends in your prayers during their time of need. A celebration of life funeral service will be conducted at 11 a.m. Tuesday at Geschwindt-Stabingas Funeral Home Inc., 25 E. Main St., Schuylkill Haven. Friends are invited to call from 5 to 8 p.m. Monday at the funeral home. For those attending the evening viewing, parking will be available at the Schuylkill Haven High School. A bus will shuttle from the school parking lot to the funeral home. Friends are also invited to call from 10 a.m. until the time of the services Tuesday at the funeral home. December 25, 2011 –At 20:22 Stations 1 & 4 were dispatched to 340 Maple Blvd. Deer Lake for a house fire. Chief 42 arrived on scene to find a working fire around the chimney area of the residence. More info and photos to come. December 25, 2011 –At 17:56 the SHFD was dispatched to 401 University Drive, the Rest Haven Nursing Home for an automatic fire alarm. Crews arrived on scene and found that the alarm had activated due to steam coming from a pot. All units were then placed available. December 25, 2011 – At 11:15 the SHFD was dispatched for any available personnel to respond to 80 N. Berne Street, for a medical assist. Crews assisted EMS with lifting and patient care. All units were then placed available by Chief 723. December 23, 2011 – At 16:38 the SHFD Rapid Intervention Team was dispatched to 60 Pine Street, Port Clinton Borough, Berks County for a house fire. Just as units began to respond SCCC advised of a controlled burn and cancelled all units. Ladder 725 was also placed on stand-by for a possible response until also being cancelled. December 21, 2011 – At 18:04 the SHFD was dispatched to the area of 1290 Schuylkill Mountain Road for a vehicle accident with entrapment. Chief 723 was the first to arrive on scene and was met with a single car roll-over with no entrapment or injuries. Chief 723 advised all incoming units to respond under caution. Crews applied floor dry to the area around the vehicle to contain leaking fluids and waited for the tow company to arrive. Chief 723 (Donatti) had command. December 21, 2011 – At 15:01 the SHFD Rapid Intervention Team was dispatched to 6145 Old Route 22, Berks County for a structure fire. As units began to respond SCCC advised of a dryer on fire inside a laundromat. Shortly after, SCCC then requested all units to cancel the call per Berks command. December 20, 2011 – At approximately 23:40 the SHFD was dispatched to 252 Dock Street, the Jerusalem Lutheran Church for an automatic fire alarm. Chief 722 (Sattizahn) arrived on scene and found the alarm to be in a “normal state” and cancelled all responding units. December 19, 2011 – At 03:56 the SHFD was dispatched to 506 West Columbia Street, for smoke in a house. Chief 722 (Sattizahn) quickly arrived on scene and found a malfunctioning boiler had filled the residence with smoke. Crews shut the boiler off, and checked the house for CO. After all tests proved negative, Chief 722 contacted the boiler company for the homeowner, and placed all Haven units available. December 17, 2011 – At 20:31 Station 4 was requested by Chief 730 (Reed) for manpower and Indian Tanks to a wooded area behind Schumacher Avenue, for a small brush fire. Crews assisted Chief 730 and SHPD with extinguishing a smoldering camp fire. T-738 and Chief 730 were on scene for approximately 30 minutes.